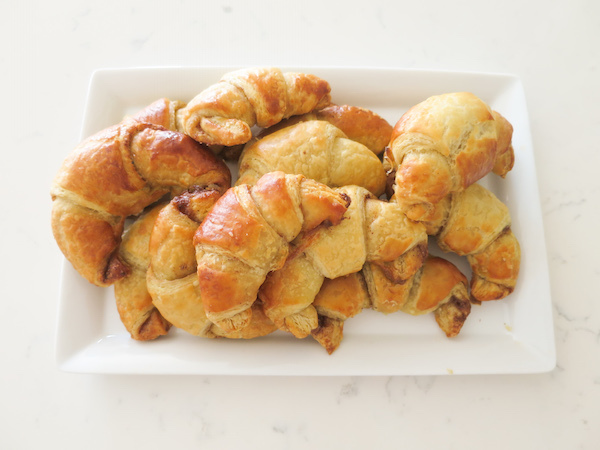 Puffy cinnamon roll croissants! YUMMY and using store-bought frozen puff pastry also a QUICK treat – perfect for breakfast or brunch! 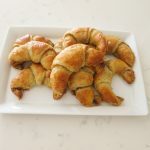 Sure you could make them from scratch too – and I got the perfect recipe for you 🙂 By Amending my Sugar Free Butter Croissants you can reduce the amount of sugar they have and make them perfectly flaky by using real butter! 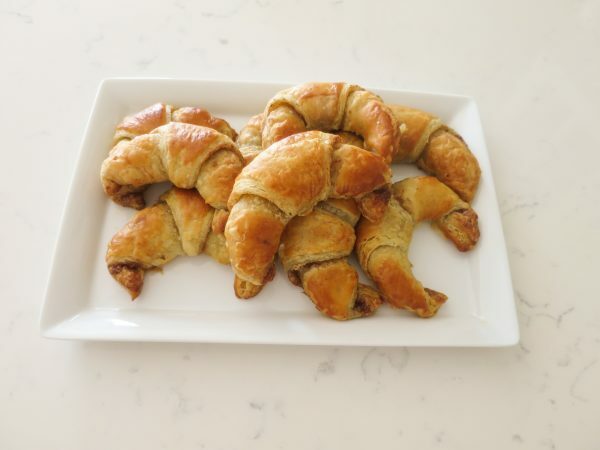 When it comes to making croissants at home store-bought puff pastry is a great 2nd! 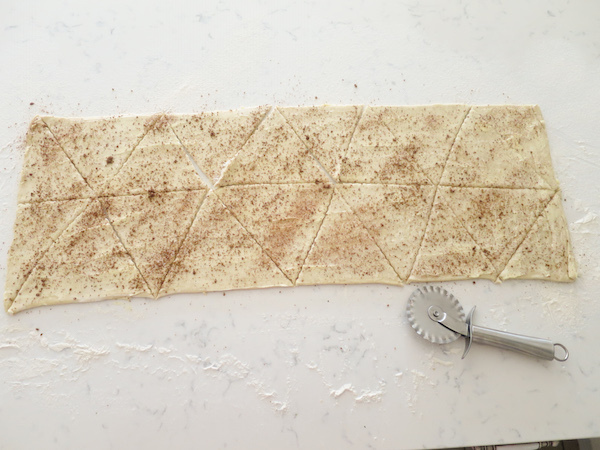 Ready rolled puff pastry sheets are super easy to work with, you just need to make sure the dough stays cold when working on it. My local stores only sell dairy free puff pastry and you can see the croissants did not come out as flaky as the earlier referred butter croissants! The flavour though is amazing – once they cool down they taste even more like a cinnamon roll. I’ve not written instructions for thawing the store-bought puff pastry as this varies between brands. They do usually have clear instructions written on the packaging. Unless specifically instructed otherwise I’d recommend to always thaw frozen puff pastry in refrigerator and not in room temperature. 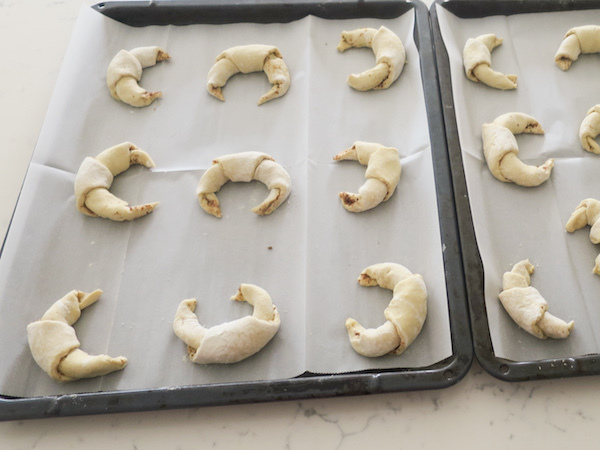 Preheat oven to 175°C (347°F) and line two baking trays with parchment paper. Turn the thawed puff pastry on to a lightly floured surface. Spread softened butter on top and sprinkle sugar-cinnamon mix all over. Roll up from the base, lightly pushing the ends of the base and tuck the tip underneath the croissant. Place on prepared baking sheets and gently brush with egg glaze. Bake in preheated oven for 15 minutes or until golden brown. Serve and enjoy!